So La Sportiva came out with a shoe that lets Tommy Caldwell climb hard routes on El Cap with only one pair of shoes. What is this shoe you ask? The TC Pro (TC stands for Tommy Caldwell). I was curious if this shoe would really live up to its billing as a one shoe for everything you might encounter on El Cap so I decided to get a pair and test them out. 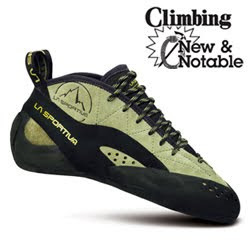 The La Sportiva TC Pros are a three quarter high top leather shoe based off of the popular Katana last. There is padding in the tongue, ankle, around the forefoot, and double thickness rand for extra comfort on long routes. The shoe is has a 1.1mm midsole in the anterior of the shoe, and is based on the great P3 platform. The new vibram compound sole is 4mm thick, sticky and holds its edge incredibly well. With all the great features of the shoe I wanted to know how it performed. So I went climbing. Not just in one area, but in many, and on many types of rock. The Diamond, Vedauwoo, Shelf Road, Eldorado Canyon, and the Red River Gorge were my playgrounds and testing areas. The rock types were granite, limestone, and sandstone. The rocks were from slabs, to vertical, to overhanging, to super steep. I will admit I never used them on plastic. The TC Pros were amazing on all the terrain I tried them on except for the super steep. The shoe was comfortable for all day climbing, sensitive enough for precise climbing, stiff enough for edging, and protective enough for cracks and offwidths. Tonay Yao and I confided in each other they were one of our favorite Shelf Road Shoes, because you couls stand on anything. I even went and climbed a few slab routes in them and enjoyed the climbing instead of being terrified. 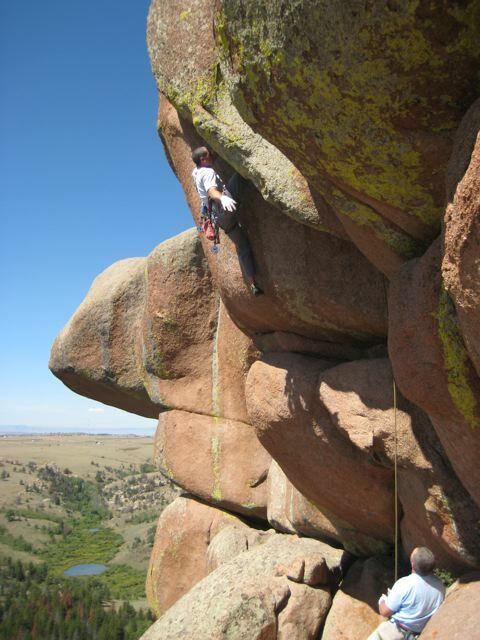 They excelled on all types of granite and on the sandstone of Eldorado Canyon. At the Red River Gorge they were awesome in the cracks, but I preferred the Solutions or the Speedsters for steep sport climbs. All in all the TC Pro is a great new addition to the La Sportiva line. I truly enjoyed climbing in the shoe and will continue to use it at traditional areas as well as vertical sport areas.